Puerto Rico can get hot, especially in the summer time. 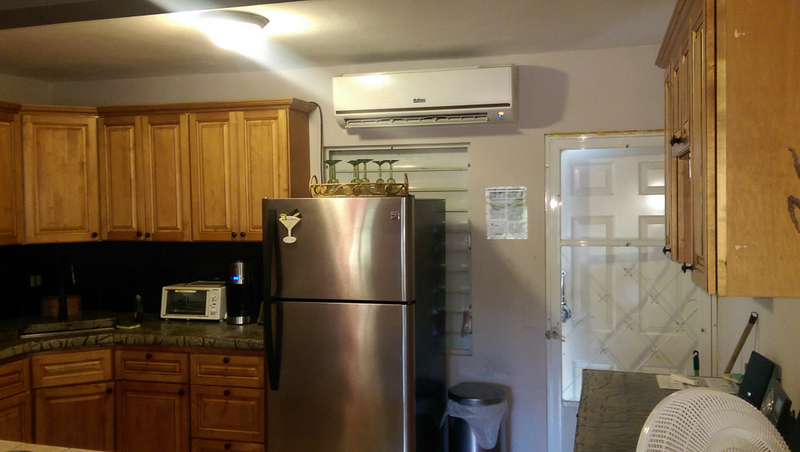 We installed a ductless mini split AC system in the main living area of our room. 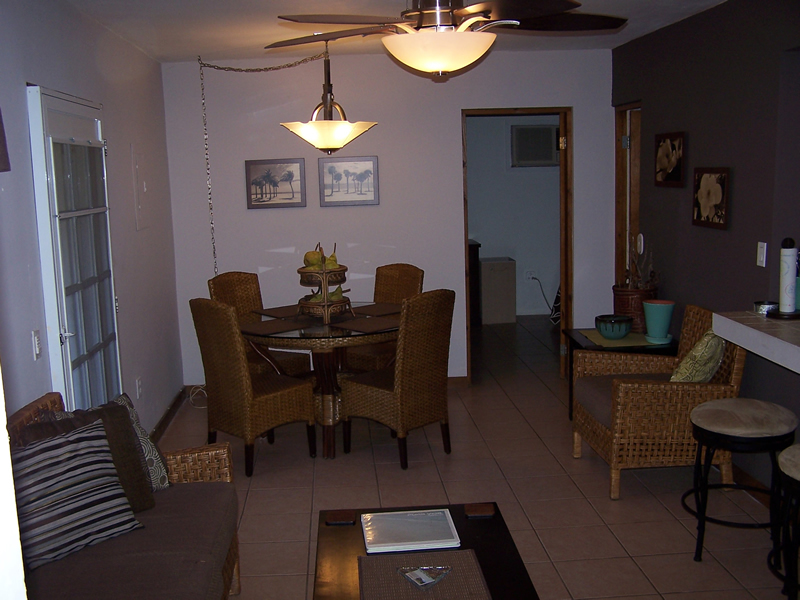 It very efficently and quickly cools down the main living area of Pura Vida. 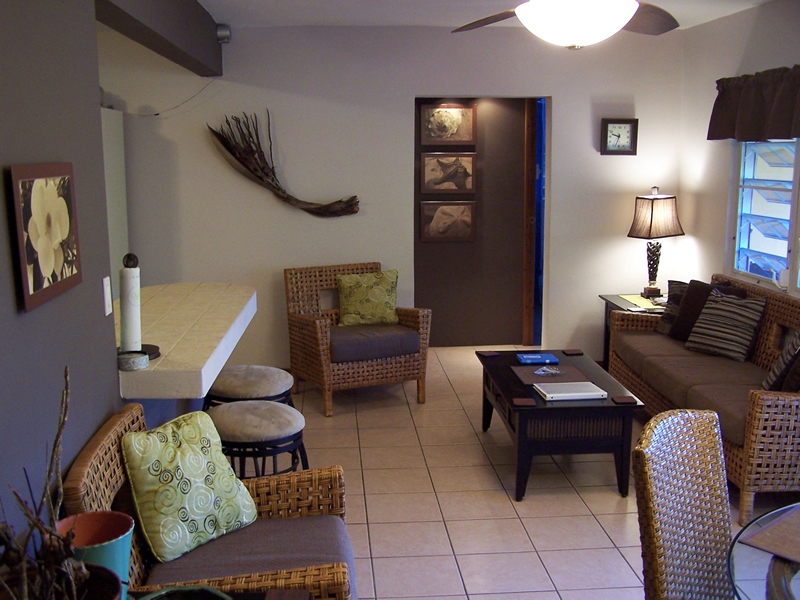 One of our favorite places to relax after a day at the beach is the spacious front porch. 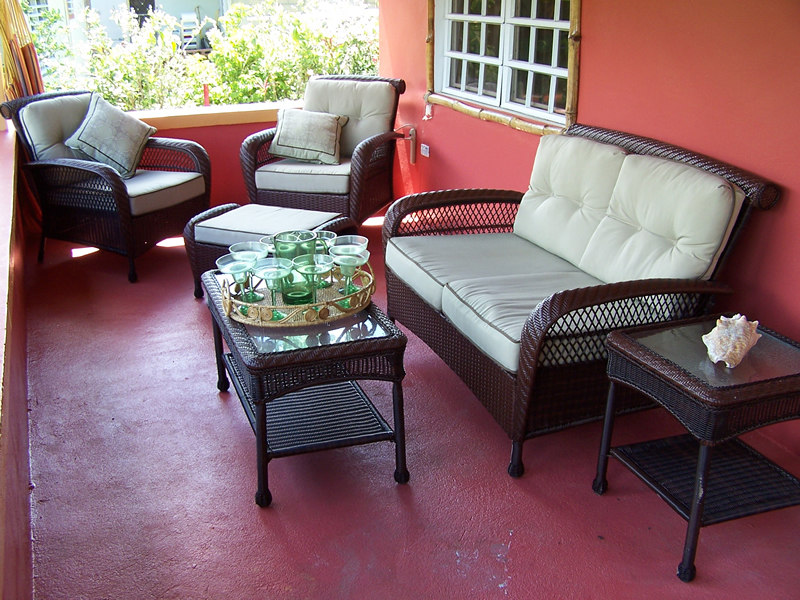 We have a full set of comfortable lounge furniture, perfect for playing games and sipping that well deserved Pina Colada. 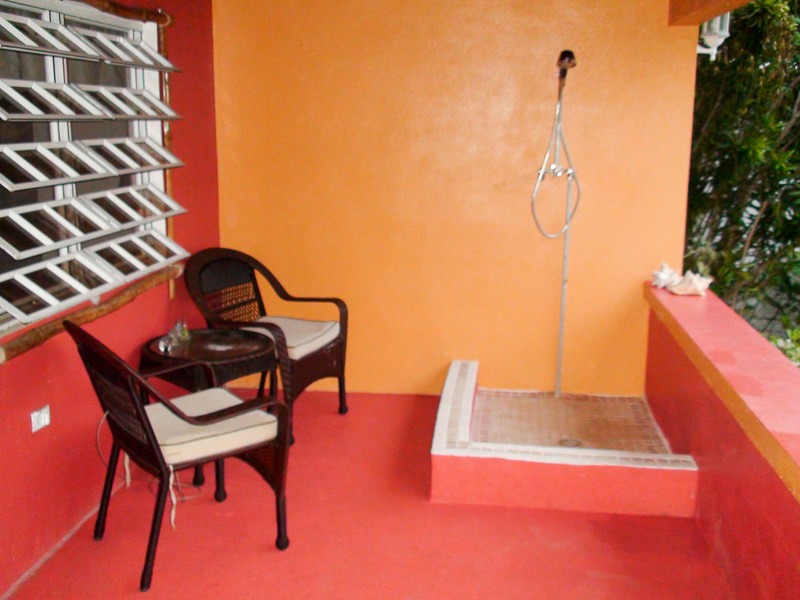 We also installed an outdoor shower which is wonderful when returning from the beach to wash off the salt and sand. 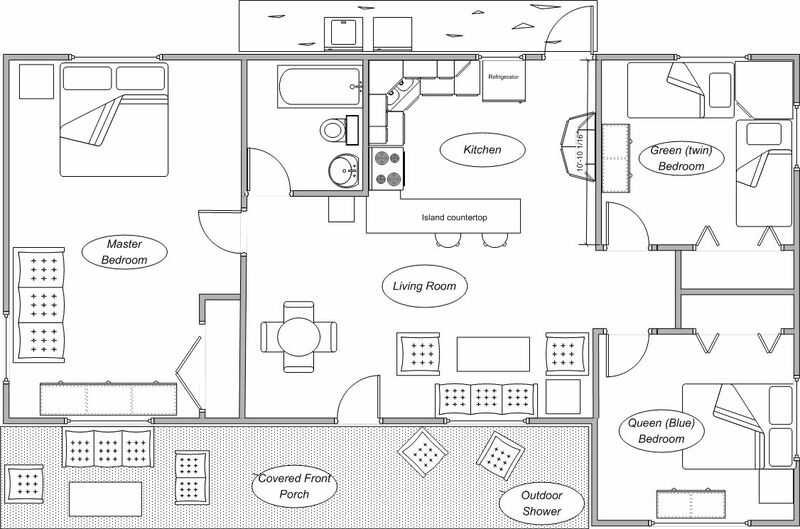 Here is an overview of Pura Vida by way of a floorplan. 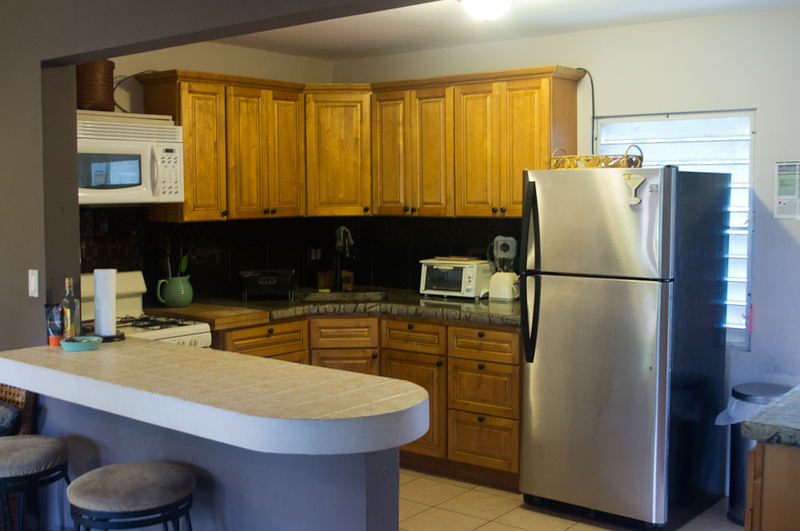 The fully stocked kitchen area contains all the necessities: Blender for Pina Coladas...oh and the usual stuff including pots and pans, silverware, plates, bowls, cooking utensils, coffee pot, microwave, stove, refrigerator (with ice maker). 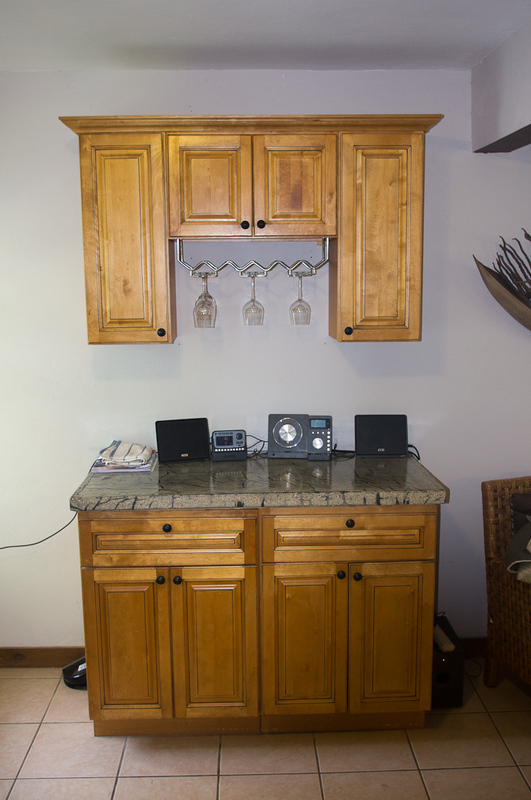 The countertop is a custom designed and built concrete countertop crafted by Jeff, the owner. 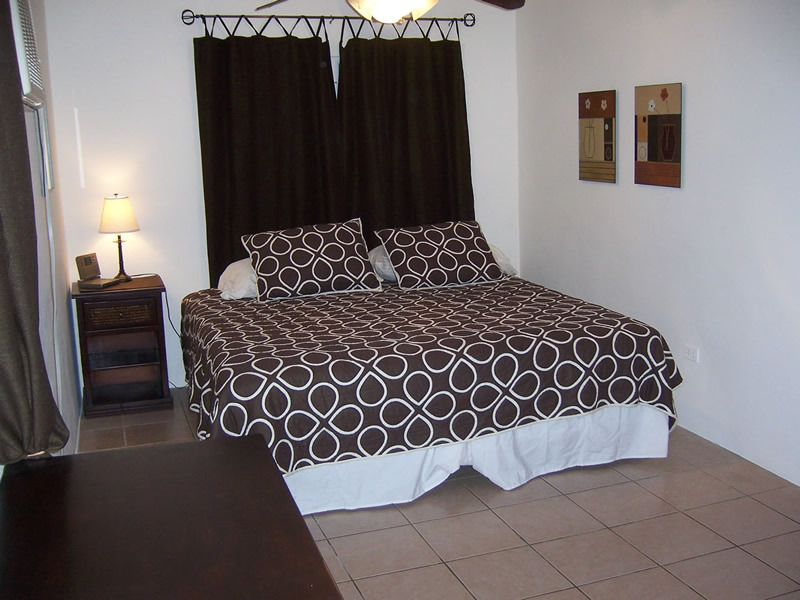 The master bedroom has a King size bed which sleeps two. 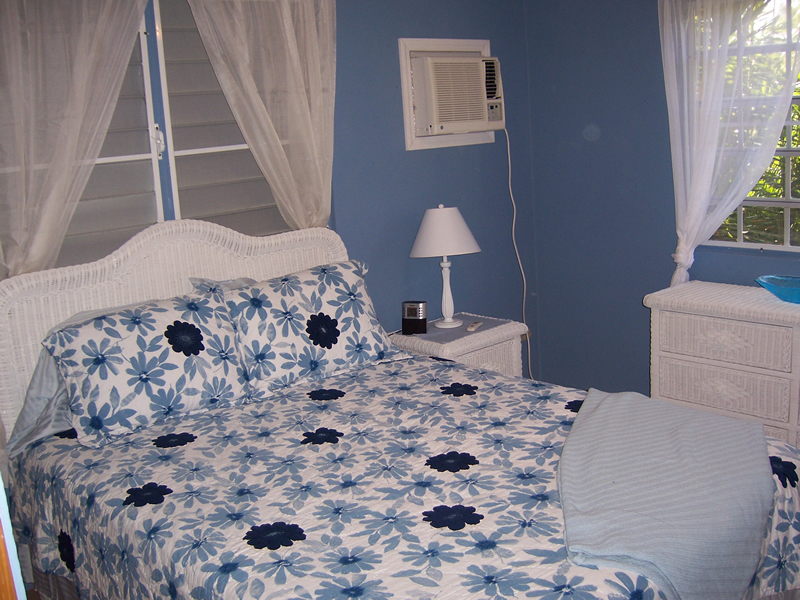 Air conditioning is present to keep one comfortable while sleeping. There is also a flip down couch which could sleep one adult if needed. Otherwise, a place to sit. Within the master bedroom we have a TV, DVD Player (and 50+ DVDs), Wii, and a Playstation2 with a handful of games. A closet also serves to hold luggage, plenty of our board games and puzzles, beach towels, books and other items. 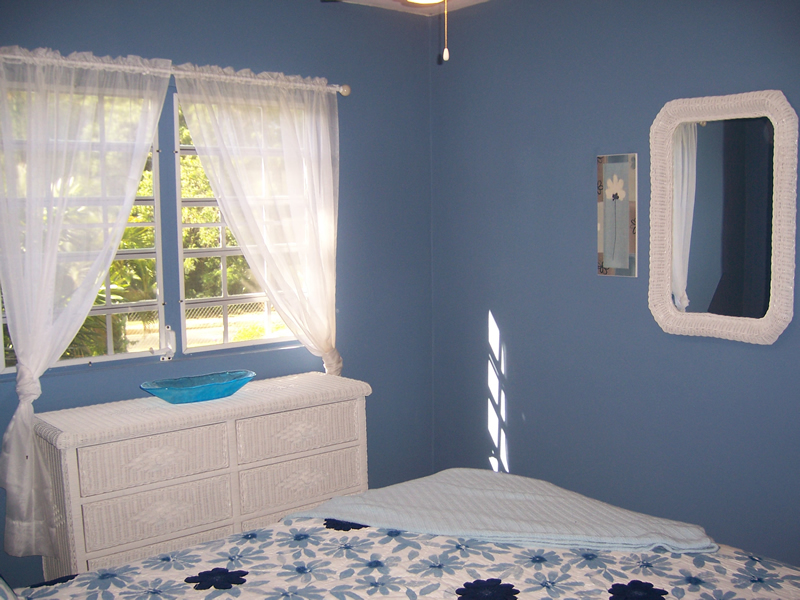 The bright and airy 2nd bedroom has a Queen size bed which sleeps two. Air conditioning and a ceiling fan are installed. It is a cute room which gets plenty of natural light. 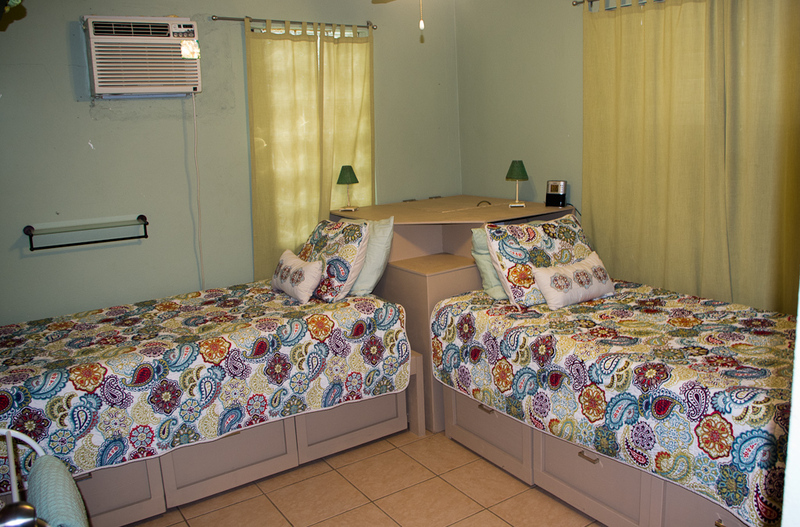 The 3rd bedroom has two Twin beds which sleep one person each. Air conditioning and a ceiling fan are installed. 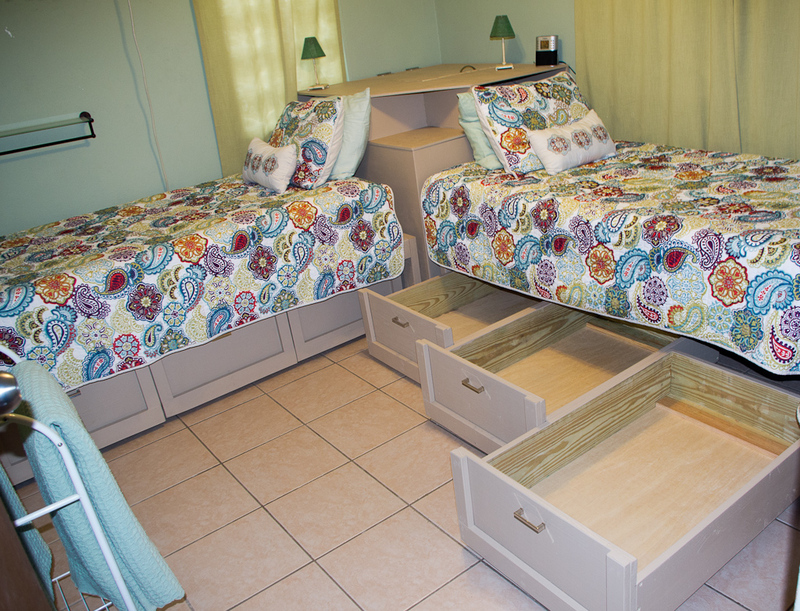 Each bed has 3 large rollout drawers underneath for plenty of storage. A corner headboard cube has cubby holes for charging electronics. This room is perfect for those single dudes on the trip and kids.